Last week I traveled to Baltimore as part of my 9 to 5. I don't travel all that much for my job, but when I do, I definitely like to check out the local eateries. 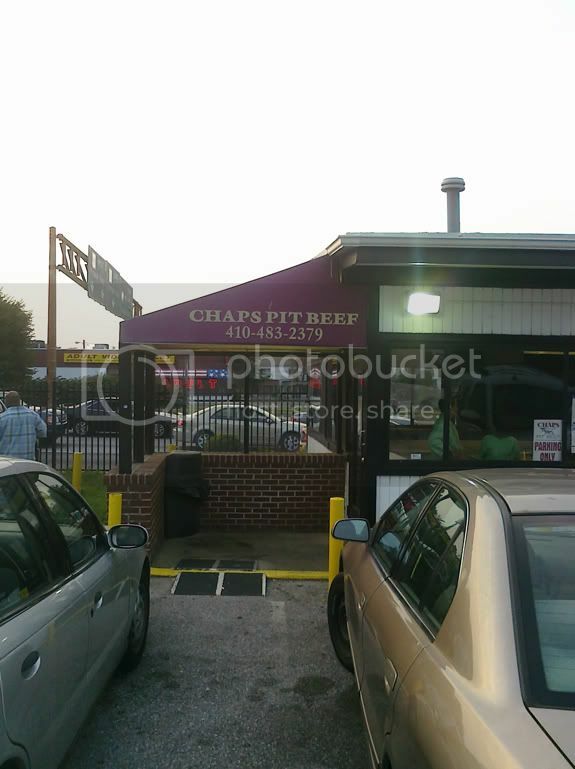 So when seeking out a Baltimore classic, one place that kept coming up was Chaps Charcoal Restaurant. This legendary restaurant has been featured on just about every food show out there, and it has won every "Best of Baltimore" award available. So what makes this place so famous? Is it the five star chef? The great table service? No, it's the pit beef, a Baltimore original. Pit beef is Baltimore's answer to bbq. It is top round that is cooked over direct coals, giving the outside of the beef a charred flavor while maintaining a rare interior. 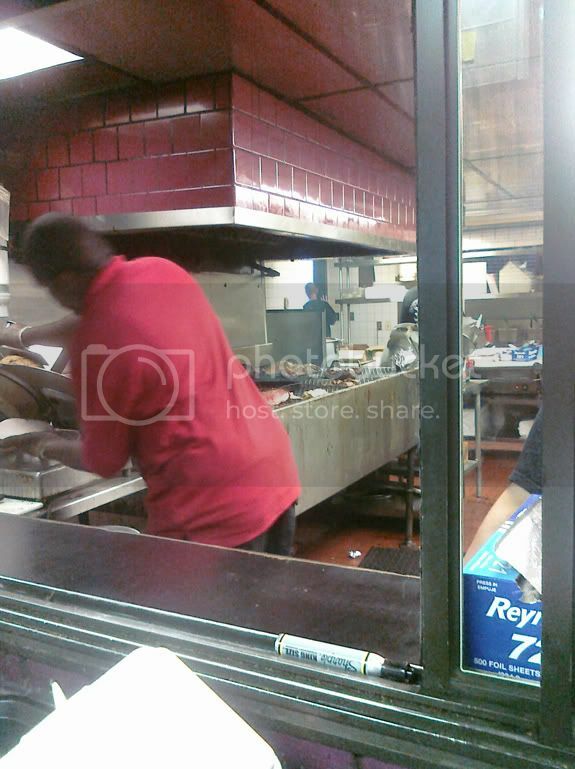 The beef is then sliced thinly to order. When you order, you can even select the doneness that you prefer. I of course went with a rare beef sandwich. 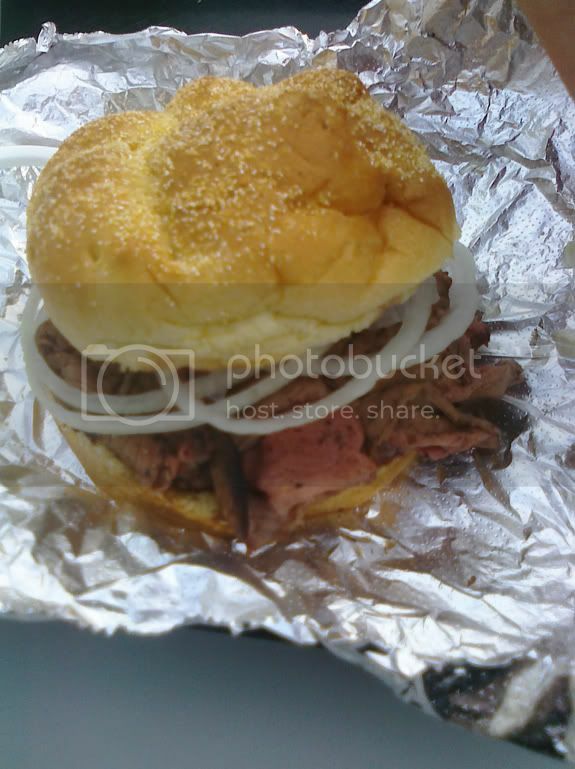 The beef was piled high on a kaiser roll and I topped mine of with a little white onion and their famous horseradish. The meat was very tender and flavorful and the horseradish really packed a punch. While it is not as good as the best pork bbq sandwich that I have had, I can definitely understand what all the hype is about. If I lived in Baltimore, this place would be in a regular rotation. 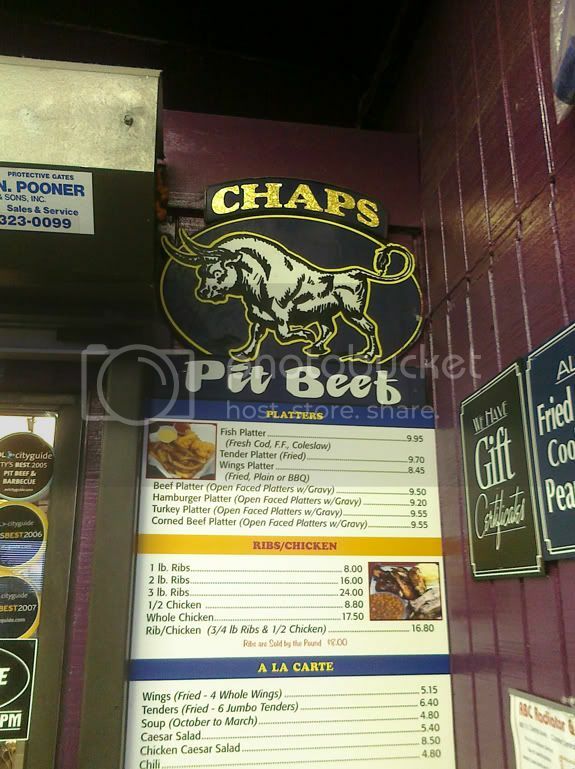 As I looked around it seemed that other patrons were dining on several of their other offerings, but for first timers should stick with the pit beef sandwich. LMAO over that Pacman clip you slipped in there. Made me think I was listening to the Jim Rome show for a minute. That is one of my favorite clips of all time. I lived in Elicott City outside of Baltimore for a year. It's a nice city, but we looked high and low for pork bbq. There isn't any that we could find. We did find lots of shredded beef and shredded beef sandwiches. A lot of restaurants in the area call this bbq.